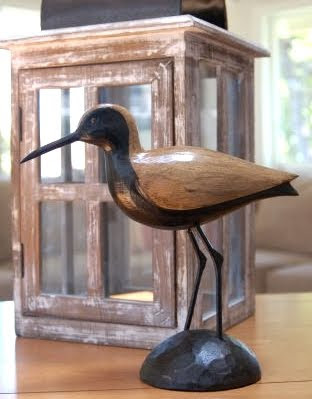 Lovely carved wood shore birds have been popping up in coastal interior designs, so here are a few online sources where you can buy them. 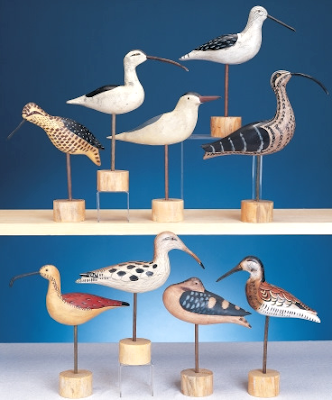 You can find carved wood shore birds in local home decor stores, gift and thrift shops, as well as in art galleries. 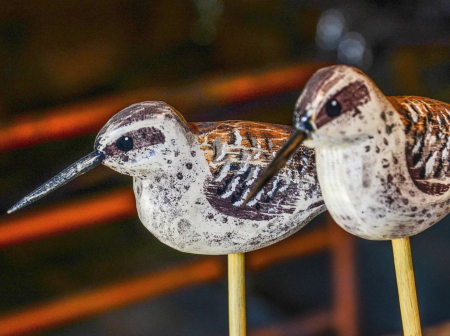 Quality, craftmanship and prices of carved wood shore birds vary widely, depending on how and by whom the shore birds were carved. 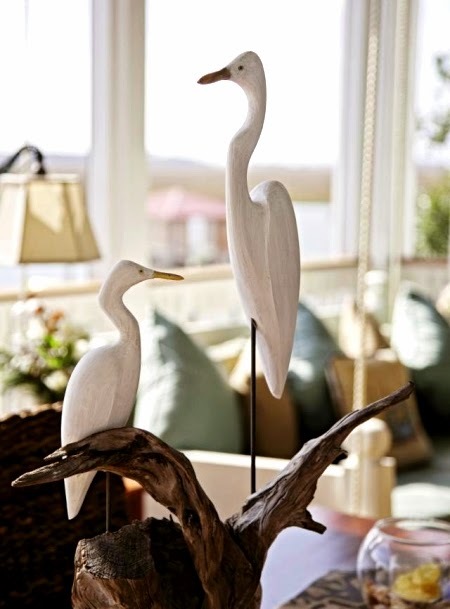 Two egrets seen in a home featured in Charleston Mag. 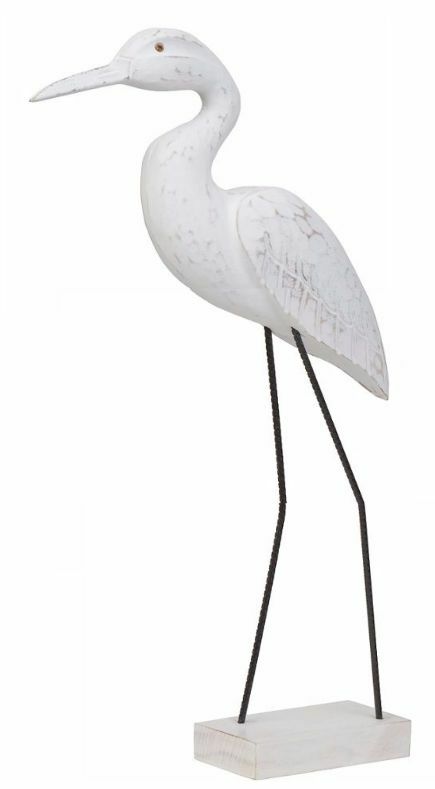 Carved Shore Bird with a white finish from Kirklands. And this group of Painted Wood Shore Birds comes from Cottage Surroundings. Then Shore Bird Carvings at Beaches, an Oregon based company that works side by side with woodcarvers. 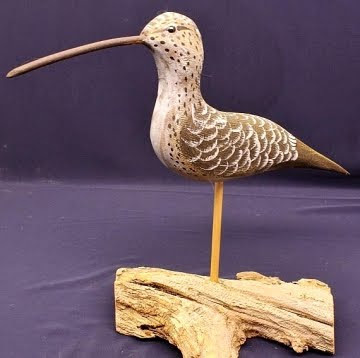 And I saw some beautiful Carved Wood Shore Birds on Ebay, such as this signed decoy by artist Tom Martindale that had 4 bids on it and sold just under $60.